Faber & Faber recently announced a new branding, going officially from Faber and Faber to Faber & Faber. 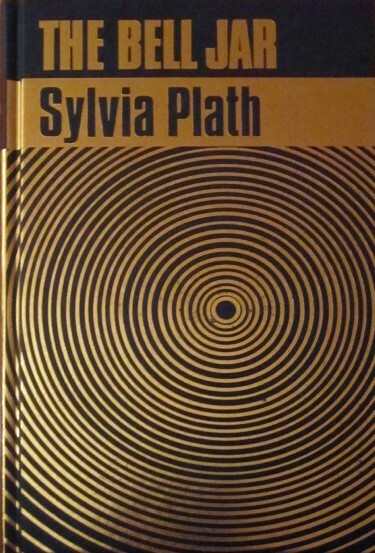 If you collect Sylvia Plath books, this might add a new look to the spines of your collection. Faber are re-releasing/re-publishing several Sylvia Plath books this fall and in the early part of 2014. Time will tell if the new branding is on any of these titles. But, here is what we can look forward to in the near future. Published earlier this month was Sylvia Plath: Drawings, with an introduction by Plath's daughter Frieda Hughes. Also published in paperback is the Carol Ann Duffy selection of Sylvia Plath Poems. moved to a clean, crisp white color with Plathian red font for the title. Published on 2 January 2014: Johnny Panic and the Bible of Dreams and The Bell Jar (again!). Anxious to see these covers once they are available. The other cover galleries (Limited editions; Books, Criticisms, Memoirs, etc. ; and Translations) remain mostly the same. In order to see any relevant title or bibliographic information you will need to simply hover your mouse pointer over the thumbnail to see it. 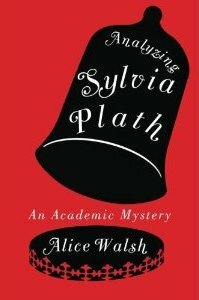 In the last year, two fictional books about Sylvia Plath have appeared. In 2012, Alice Walsh's Analyzing Sylvia Plath (Thomas & Mercer) was published and this year saw Scott Evans' Sylvia's Secret (Port Yonder Press). In January of this year, also, Plath was the subject of "The Speech Therapist" a short story by Cyril Dabydeen published in the January-February 2013 issue of World Literature Today (Vol 87, Issue 1, pages 20-26). You can read a fairly good synopsis of Alice Walsh's book on Amazon.com (linked above), but my take away from it was that Canada is a nice-safe-friendly place and that New York is really dangerous and a lot of people are untrustworthy and have guns and it is scary. #Fail. The Evans book is described as "a fast-paced psychological thriller... based on several years of research..." that explores, in part, "the actual circumstances of [Sylvia Plath's] death." The blurb on Port Yonder Press' webpage is intriguing, "When American poet Sylvia Plath committed suicide, many people blamed her unfaithful husband, but no one believed Ted Hughes actually murdered Sylvia. Until now." Also from Amazon, "The research has unearthed a little-known fact about Plath that, when revealed, may provide answers not just for those interested in the tragic author of The Bell Jar, but also for anyone who suffers with depression and mental illness." The narrative is fast-paced in that the book is a simply-written and quickly read. However, it is littered with inconsistencies (not just Plath related) that are annoying, and some terminology issues. For example, in England, in London in particular, people do not ride the "subway". They ride the Tube, or take the Underground. The subway is a pedestrian passageway the goes beneath busy intersections and often can be found at Underground stations. Secondly, the attentive service in restaurants and pubs that Cassandra "Cass" Johnson and Joe Conrad receive is laughably not British. I'm sure there is a study on this, but my guess would be the average waiting period from when one sits down at a table to when the waiter or waitress takes your order and to when the requested beverage and food arrives is something along the lines of three weeks. 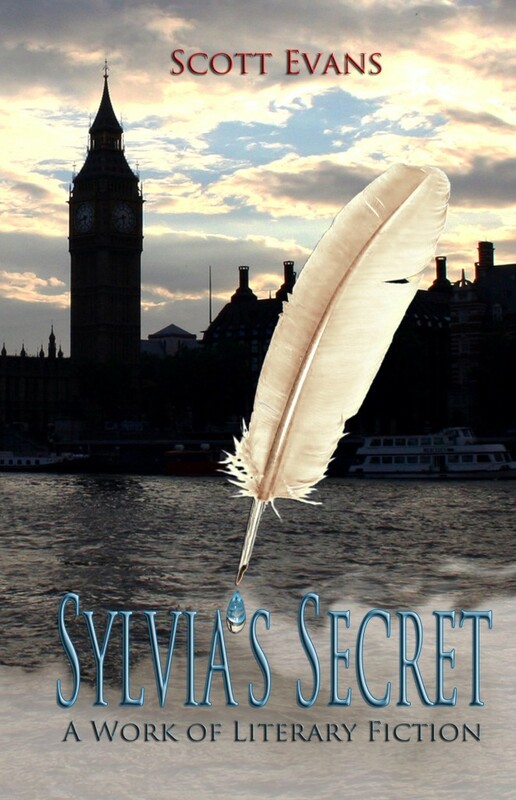 There was some shoddy writing and/or editing in Sylvia's Secret (thank goodness her name was not Victoria Plath, of that it was not about the Victoria Lucas edition of The Bell Jar: for then would we have Victoria's Secret?). Two examples of this regard the locality of Cass's London flat on Fitzroy Road. We are told in Chapter 1 that she lives "just a few houses down from the building where Sylvia gassed herself" (10). Suddenly, however, on page 69, Cass's flat is "next door" to Plath's. Then on page 77, Cass and Joe "started down the street to the front door of 23 Fitzroy Road". Well, which is it? "Down the street" or "next door"? They are two different things. The other contradiction is that upon return from Devon, Cass and Joe go to the terribly named "Queen's Pub & Dining Room" (213). Later, when referring to the pub the they "went to last night"; it is suddenly "The Princess of Wales" (240). Maybe Evans has done "in the field" work and visited London and Devon before, but his descriptions are so cliché and plain that it is almost as if he Google Street Viewed the respective areas and wrote from what he could see from the comfort of his writing desk (or couch). a) can you really take out £800 from a cashpoint in England? b) the people that now own these residences where Plath lived do not welcome visitors. c) Carol Hughes still lives at Court Green. d) "The Detective" was not in Ted Hughes' 1965 version of Ariel (p. 63). e) The last poem in Hughes' version of Ariel was not "Edge". It was "Words" (p. 83). f) Plath's mother's name was Aurelia, not Ariel (p. 280). The handling of the "missing journal" that Cass found (i.e. forged - oh, shoot: Spoiler Alert) is ridiculous. To remove the book from a bank safe deposit box, in the snow, and to carry such a document down the street to the pub is obscene. Unless the fact that it was a forgery explains Cass's carelessness? The location in which it was "found" in the yew tree of the churchyard of St. Peter's in North Tawton was a little far-fetched, but does remind me of Plath's earthenware head, which she placed in the crook of a tree in Grantchester Meadows. There is no doubt that Scott Evans has done some research into Sylvia Plath and Ted Hughes. Sometimes it feels expert, sometimes it feels cursory. To a seasoned Plath scholar, this book will likely be frustrating and tiresome; to a novice, it might be misleading, which is irresponsible even though it is labeled a fiction. Woe... Lo... These young, impressionable minds... I feel that when I read a work of fiction in which real people and real events are depicted, that the author has the obligation of ensuring that when said real people/events are used that they are used accurately. And the feather on the cover has nothing to do with the book. #Fail. The short story "The Speech Therapist" by Cyril Dabydeen was just bad. #Fail. Plath as fictional subject is not a genre for everybody and it takes a certain amount of patience to trudge through the majority of them. Kate Moses' 2003 novel Wintering was by far the most successful endeavor to date, the research that went into the book was so thorough that I think most academics would have and should have been impressed. Links and quotes accessed 23 July 2013. 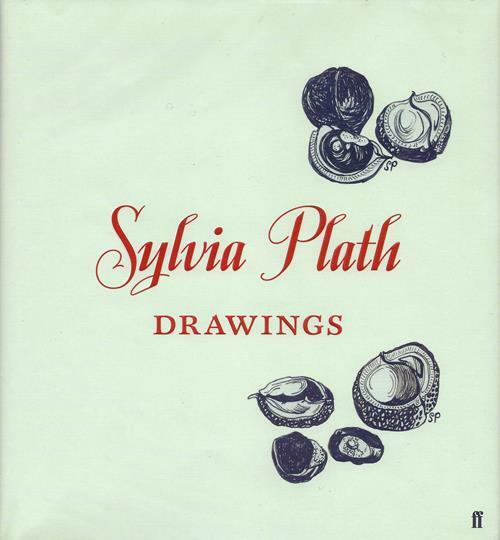 Published today by Faber & Faber in England is Sylvia Plath: Drawings, edited and introduced by Frieda Hughes. The book is 72 pages and is on sale via Faber's website (and Amazon.co.uk) for £16.99. The ISBN for the book is 978-0-571-29521-0. The book features an introduction by Frieda Hughes and also publishes for the first time ever (well, the second time ever since it first appeared in The Times Magazine on 24 August 2013) a letter from Sylvia Plath to her husband Ted Hughes written in early October 1956. The book reprints two letters from Plath to her mother, as well, from 25 August 1956 and 21 October 1956 and a journal entry from 21 August 1957. These all serve as contextual devices for the drawings. The book is divided into several sections (as seen from the proof, there might have been changes between then and now): Drawings from England; Drawings from France; Drawings from Spain; and Drawings from the USA; as well as including a short biography (chronology) and bibliography. The drawings in the book are largely drawn from the Mayor Gallery exhibit "Sylvia Plath: Her Drawings" but there are a few additional drawings reproduced from archival collections. For those who missed out on buying the Mayor's exhibit catalog (my review) or seeing the exhibit in person, this is your chance to see what it was all about! Sylvia Plath: Drawings will be published in the United States on 5 November (the anniversary of Otto Plath's death) by HarperCollins. It will be in hardback and on Kindle via Amazon. 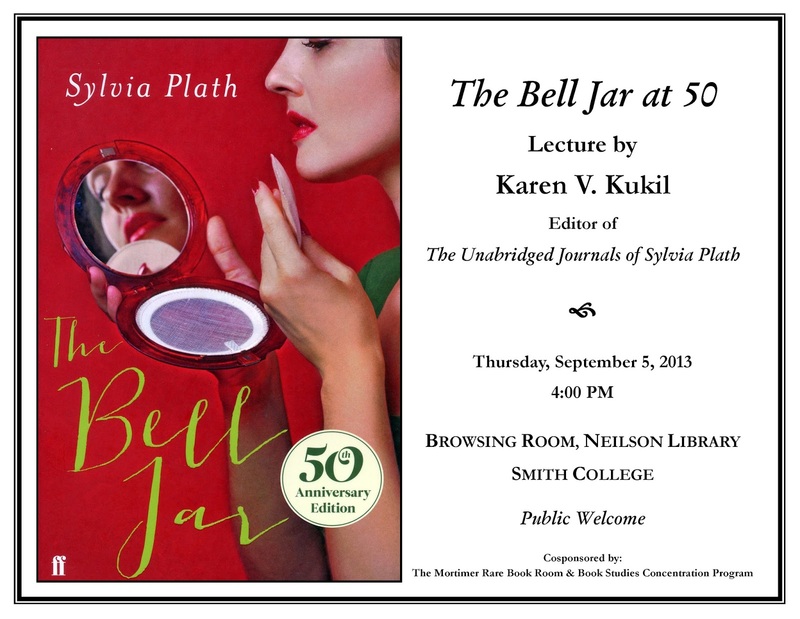 Associate Curator of Rare Books and Special Collections at Smith College and editor The Unabridged Journals of Sylvia Plath, Karen V. Kukil, will present a lecture on Sylvia Plath titled The Bell Jar at 50 on Thursday 5 September 2013 at 4 PM in the Browsing Room of the Neilson Library, Smith College. All are welcome. The lecture is free and will certainly enrich one's understanding of the process of creating The Bell Jar and its publication history. While you are there, you should also check out some of the exhibits ("From Petals to Paper" and "The Bell Jar at 50" and "Sylvia Plath Reads the Wife of Bath") that are closing at the end of the week (8 September), too.